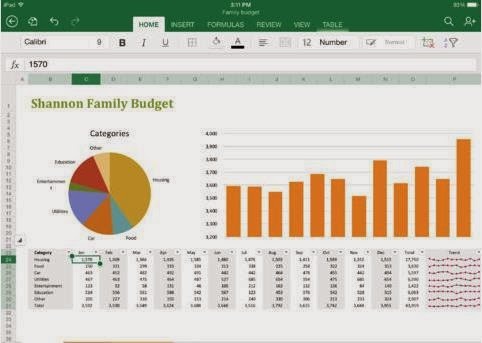 Download Excel for iPad: The new official Microsoft Excel app lets users view, create and edit Excel spreadsheets right from their iPad or iPhone, The excel app is part of the Microsoft office suite and you can also download Word and PowerPoint apps from the app store. Before iPad users used to depend on some premium app like Apple’s Numbers or the free Google Drive but now they can directly read and edit their spreadsheets easily. The Excel app can be downloaded for free from the App store but you require a valid office subscription which costs you around $100 to use the app.